Berries are once again in the spotlight for their health-promoting properties. You probably already know that these sweet and colorful fruits are packed with antioxidants and anti-inflammatory components that reduce the risk of number of chronic diseases. The positive influence that berries have on health is well documented. Now, a study from the Human Nutrition Research Center on Aging at Tufts University and the University of Maryland has shown that berries could also play an essential role in clearing the accumulation of toxic proteins in the brain. Why is this important? Most diseases of the brain, including Alzheimer’s disease and Parkinson’s, increase levels of toxic proteins in the brain. The research shows that berries promote autophagy which is the brain’s natural housekeeping mechanism, resulting in a reduction of toxic accumulation. Most of us hope for a long life, but more importantly, a lengthy, high quality life, which means avoiding diseases that have often been thought of as a normal part of the aging process. Although the findings have yet to be published in a peer-reviewed journal, there is no reason to delay adding plenty of berries to your daily diet. These tasty, colorful fruit pack a powerful punch when it comes to health benefits. Here are just a few reasons to include berries in your diet. They neutralize free radicals that can lead to premature aging and disease. The high compounds of anthocyanosides in blueberries can preserve vision and prevent or slow vision loss as well as cataract, myopia and macular degeneration. They prevent heart disease and strengthen cardiac muscles. Berries are packed with fiber and can help stave off constipation and other digestive troubles. Blueberries especially can work miracles in preventing and curing cancer. Studies that have been published in the Journal of Agricultural and Food Chemistry have shown that the phenolic compounds in blueberries have the ability to inhibit colon cancer cell proliferation and significantly reduce the risk of ovarian cancer. To enjoy all of the wonderful benefits of berries, add some to your cereal in the morning, yogurt, in a salad, smoothie or grab a handful and eat them on their own! Previous articleCould Garlic Replace Antibiotics as a Major Bacteria Fighter? 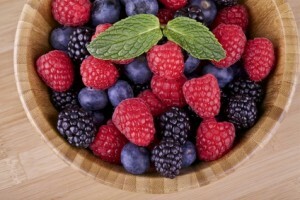 Hey Buddy!, I found this information for you: "Study: Berries Reduce Risk of Brain Disease". Here is the website link: https://www.thealternativedaily.com/study-berries-reduce-risk-of-brain-disease/. Thank you.